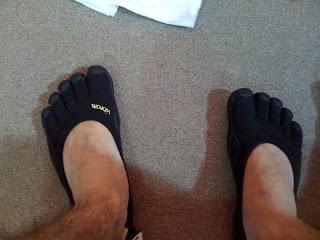 Today I went out to The Outside World and tried on some Vibram Five Fingers Classics, since they didn't have the KSOs. My size was between a 40 and a 41, even though the measurements suggested 38. My big toe was touching in both the 40 and 41, but my heel wasn't as snug in the 41. I couldn't really get a good idea of of the ground feel since the store had a smooth cement floor. 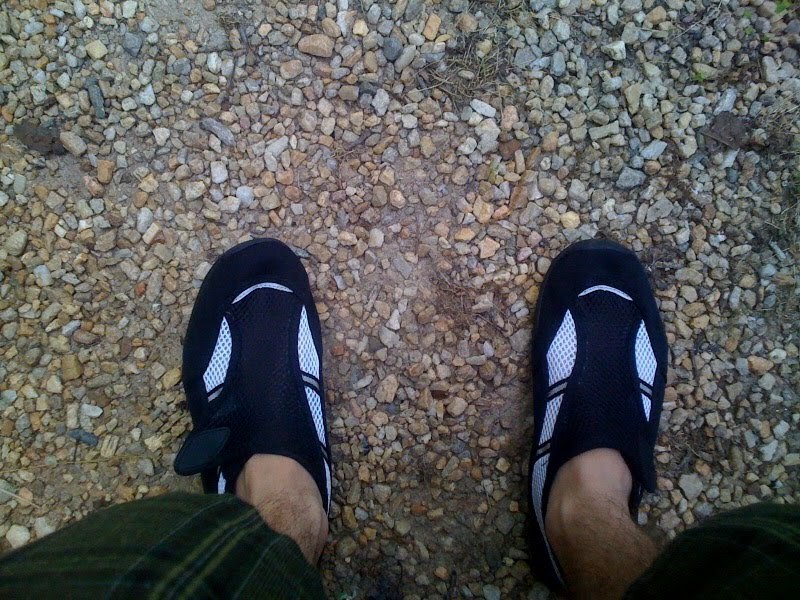 I think I am just going to stick with my Walmart Aquasocks, as they fit more comfortable and are $70 cheaper or maybe try to make some huaraches, even though they look sillier then running barefoot. To be honest, nothing feels more natural and free than barefoot, so I will continue that as much as possible. Oh yes, about the ultra. I informed the guy that I was a barefoot runner and he told me about a great race they are sponsoring at Pine Mountain Ridge. More info here. I want to run the 50 Miler. I am no where near being able to run it. I ran 6 miles the other day. I felt fine, but my feet had a little sting on them. I know I need to improve. I am going to start running trails like noone's business. I figure if I can run 20 laps around the lake(it's 2.5 miles) in under 13 hours, I should be good. If not, I will sign up for the 50K, but as far as I am concerned it is not an option. 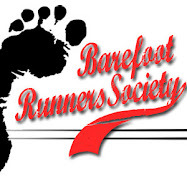 I am trying to make this a Barefoot Runners Society event. This may also affect the distance I run, as I would like to run with other barefooters as well. All is going well for me and running. I am having some slight top-of-the-foot pain, but it goes away when I run and comes back when I walk. When I walk like I run it feels fine. I suppose it will heal itself since I am not stressing it while running. I have also been walking around a lot in my Walmart Aqua Socks. They are a little sweaty, but are a socially acceptable alternative to walking around barefoot.